The lack of marketing-sales collaboration is a problem for many companies. A mismatch of expectations from both sides and finger pointing can aggravate the situation. How can the marketing and sales teams, instead of working against each other, work together? The silo effect is the result of two teams not collaborating with each other which can lead to disastrous consequences. Gillian Tett, an editor of the Financial Times describes cases where literally billions of dollars are being lost through a lack of coordination. The Swiss banking giant UBS lost billions because its New York and London credit derivatives desks weren’t communicating with each other. In our example, sales might lose out on sales opportunities because departmental barriers are not broken down. In our last blog we explored, how Marketers can find out in two simple steps, what type of marketing collateral sales reps really want. In this blog, we look at it from a Sales perspective. Marketers and sellers alike often face the same problems. How does one best share, duplicate, and preserve effective sales tactics? When you have a sales star, what does it take to disseminate their knowledge to the rest of the team? 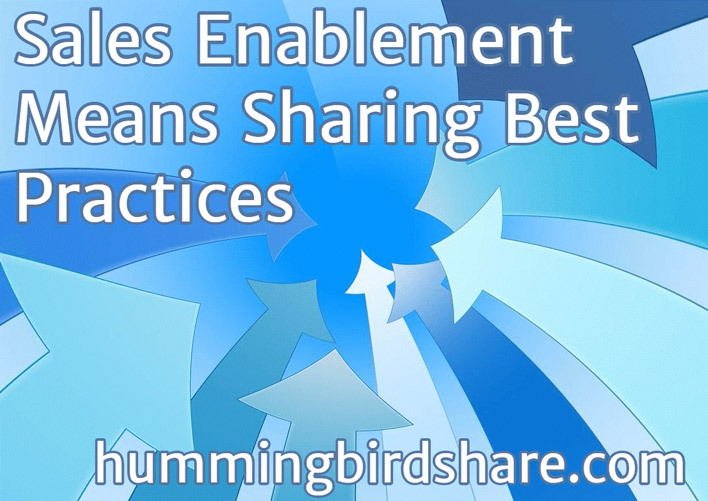 Let’s find out how centralization and sharing optimize sales enablement. Regardless of the caliber of the sales rep, some sales approaches work better than others. Whether it’s an awesome brochure or product demo, some marketing collateral makes the sales rep’s life easy. Sellers can then spend more time on sales efforts and closing deals rather than searching for best practices. It’s important to identify these resources and practices and inform the sales team in an organic, easy, and intuitive manner. Word of mouth is unreliable due to geographic and time zone constraints. An automated sharing process is much more effective. No doubt that for some, selling is a natural talent. But many practices can be learned. Your stars can share with the rest of the sales team. Their tricks of the trade can be duplicated if the knowledge is shared. So you can ask: Which presentations work best and what pain points resonate most with customers? Encouraging your sales reps to pool their knowledge brings this to life if the right platform is available. And even the stars can learn a thing or two to improve their numbers. Let’s face it. These days, many people change careers and companies more than a few times in their lifetime. When a successful sales veteran moves on, you lose valuable insight that has been collected and cultivated over time. But if your sales team keeps a centralized record of their best practices, then when things turnover, you retain knowledge that would otherwise be lost forever. When one leaves, another must be brought on board. How do you get new sales people up to speed quickly? If you go back to the concepts of sharing, teaching, and knowledge storage mentioned above, you have the answer. All of these resources can help integrate new sales reps much faster. They instantly have deep insight into what has been working for your sales stars. They pick up quickly on the best use of marketing collateral. Perhaps you’re thinking that this sounds like a fantasy, but sales enablement software exists that does all of the above for you. When you implement the right sales team platform, your reps enjoy centralized information access. You create a place where they can rate, rank, and share success stories. Everything is updated continuously as the entire team participates. Also it all remains recorded permanently for quick retrieval. If a sales rep leaves, their hard won insight remains. This knowledge pool is also available for new hires eliminating the need for trial and error as the best tactics are clearly defined. Interested in a central place where marketing and sales share best practices? Contact us today. About the Author: Michael Kada spent most of his career in sales enablement and leadership roles in training and social learning / knowledge management. Most recently, he ran one of the largest knowledge sharing / sales enablement programs with 85,000 users at Microsoft. To learn more, you can contact him at michael@quantumverse.com or follow him on Twitter @QuantumVerseInc. 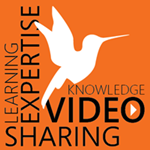 Are you ready to get started with HummingbirdShare? © Copyright 2019 by HummingbirdShare | Powered by QuantumVerse Software Inc.